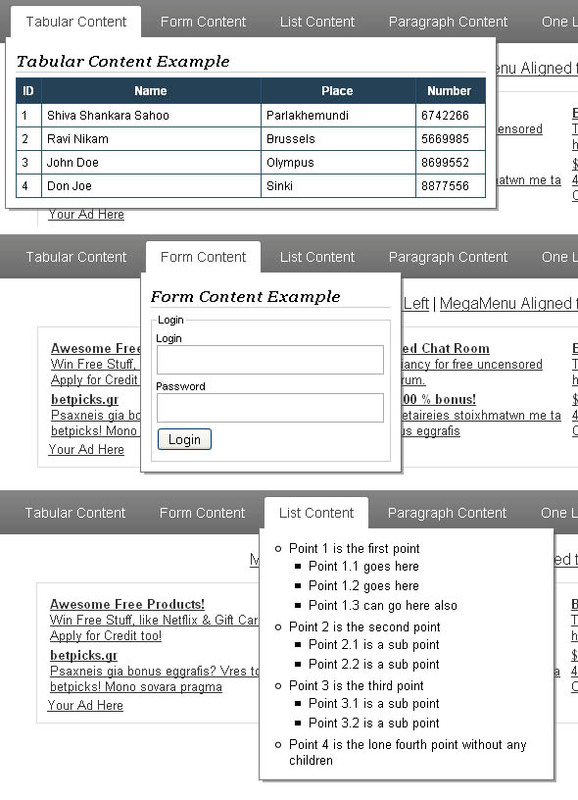 Mega Menus 2 refer to drop down menus that contain multiple columns of links. This jQuery script lets you add a mega menu to any anchor link on your page, with each menu revealed using a sleek expanding animation. Customize the animation duration plus delay before menu disappears when the mouse rolls out of the anchor. A completely revamped JS and CSS code-base. HoverIntent like feature embedded into the code-base so that we have smooth navigation by default without any external libraries. Automatic alignment of the menu content according to the width of the parent menu container. Variable width of the menu contents. Non obtrusive and easier to understand CSS.